Climate change. Ha ha, of course climate changes. It has been doing so for millions of years. How did I know that there has not been a serious change in climate that would drastically affect sea levels? Follow the money. Businesses in Manhattan and coastal property owners have not been fleeing. A few years ago I checked the climate in Antarctica . And why have we been lied to about rising sea levels? Researchers and politicians have been profiting from the misinformation and associated irrational hysteria. “Antarctica is actually gaining ice, says NASA. Is global warming over? Not quite, scientists say. But new study results show the fallibility of current climate change measuring tools and challenges current theories about the causes of sea level rise. From Fox News June 2, 2014. “The Obama administration is set to announce a rule Monday to limit carbon emissions in thousands of fossil-fuel burning plants across the country, a cornerstone of President Obama’s climate-change agenda and his first-term promise to reduce such emissions by 17 percent by 2020. The Environmental Protection Agency will ask existing plants to cut pollution by 30 percent by 2030, according to people familiar with the proposal who shared the details with The Associated Press on condition of anonymity, since they have not been officially released. The draft rule, which sidesteps Congress, will go into effect in June 2016, following a one-year comment period. States will then be responsible for executing the rule with some flexibility. From MSNBC May 12, 2014. “Last week, President Obama warned that climate change is already here and not “some distant part of the future.” Now researchers at NASA and the University of California Irvine have found evidence that man-made global warming may have already caused some irreversible damage. On Monday, NASA and U.C. Irvine released a joint report finding that a section of the West Antarctic Ice Sheet “appears to be in an irreversible state of decline, with nothing to stop the glaciers in this area from melting into the sea,” according to a statement on NASA’s website. From Watts Up With That May 28, 2014. NBC’s anchor Brian Williams asserting that these new studies reflect that sea levels would rise by 13 feet over the next 100 years because of the glacier ice loss which was caused by global warming and is unstoppable. Virtually nothing Williams said was reflected in what was contained in the new studies. 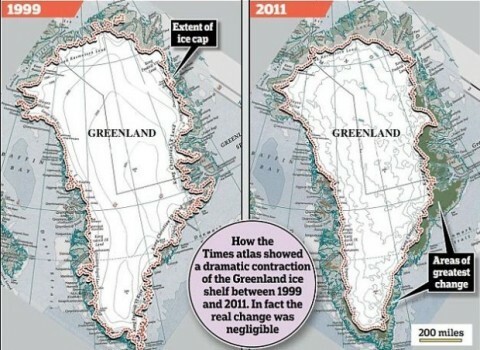 Williams failed to understand that the two studies did not say anything about sea level rise projections, made no mention that man made global warming was driving these glacier ice loss results and additionally appears to have ineptly borrowed his made up 13 foot number from a newspaper article (The Guardian which claimed a 4 meter sea level rise) which managed to confuse “feet” with “meters”. What impressive reporting by the NBC news anchor!! “That’s right – the IPCC says that its Surface Mass Balance (SBM) models for Antarctica show that its projected future climate behavior causes sea level to decline not increase! From Americans for Prosperity, December 18, 2009, Obama speaks and panders to his socialist, communist comrades in Copenhagen. The Citizen Wells blog, beginning early in 2008, warned of the similartities between the Obama camp and Nazi Germany. A simple search here on “Nazi” “Hitler” will yield the articles. It comes as no surprise to anyone paying attention, that the Obama camp followers, the far left wackos who embrace the religion of earth and earth quasi science worship, are playing out their Hitler youth inspired roles. Recently, Tim Phillips of Americans for Prosperity, was attempting to deliver a live webcast from Copenhagen on climate change skepticism. Philips was confronted by modern day Hitler Youth. Why are so many young people being led astray to embrace false religions and causes? Where do many of these impressionable youth get their notions? The obvious answer is in colleges and universities. I have not had many reasons to laud the Charlotte Observer in the past several years. They embraced the change of Barack Obama early in 2008 and did little to serve their readership. However, much to my surprise and delight, on Monday, November 30, 2009, they printed an article on the Declaration of Independence and US Constitution titled “Truths are ‘self-evident'” that provided a glimpse into the attitudes of many professors. “Through a carefully written constitution, the Founders – Washington, Adams, Jefferson, Hamilton, Madison and the rest – created an enduring framework of limited government based on the rule of law. With this structure, the Founders sought to establish religious freedom, provide for economic opportunity, secure national independence and maintain a flourishing society of republican self-government – all in the name of the simple but radical idea of human liberty. In America, for the first time anywhere, these universal ideas became the foundation of a system of government and its political culture. Because of these principles, the American Revolution culminated in a constitutional government rather than a new tyranny. From Watts Up With That, December 3, 2009. “It seems the uncertainty about Copenhagen is growing. When Al baby pulls the plug, you know it’s hosed. Former U.S. vice president has canceled his event, more than 3,000 Danes have purchased a ticket. Looks like they will get a refund though. Might be worth more as a collectors item in ten years though. I wonder how many people have shelled out $1200 to shake Al’s hand? Maybe not enough and he couldn’t cover the expenses for his private jet? “Have you ever shaken hands with an American vice president? If not, now is your chance. Meet Al Gore in Copenhagen during the UN Climate Change Conference,” notes the Danish tourism commission, which is helping Mr. Gore promote “Our Choice,” his newest book about global warming in all its alarming modalities.